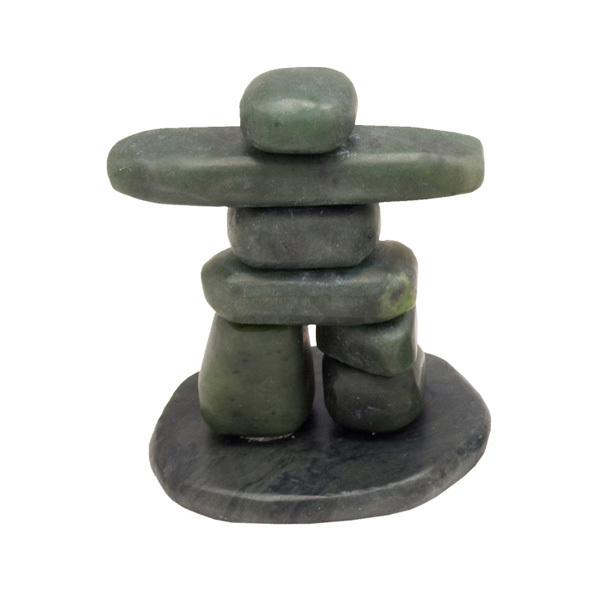 Tumbled nephrite jade is used to form an inukshuck standing on a jade base. 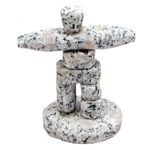 In the Inuit language, the mysterious stone figure known as Inukshuk, means in the likeness of a human. 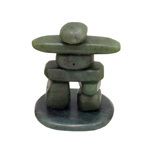 These sculptural forms are among the oldest and most important objects placed by humans upon the vast Arctic landscape and have become a familiar symbol of the Inuit and their homeland. 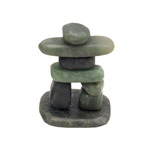 The Inukshuk is an ever-popular souvenir to share with both men and women.